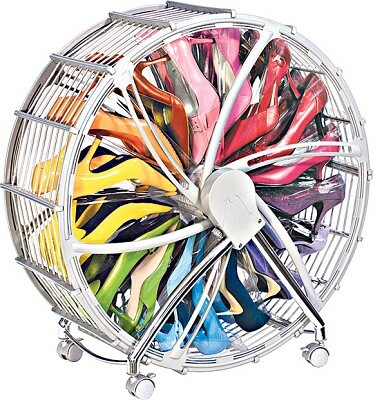 ﻿Have you ever had the feeling that you are a little disorganized? You know what I mean. The linen closet that has all your towels shoved in it, oh their folded but if anyone was to open it the towels would all fall out. 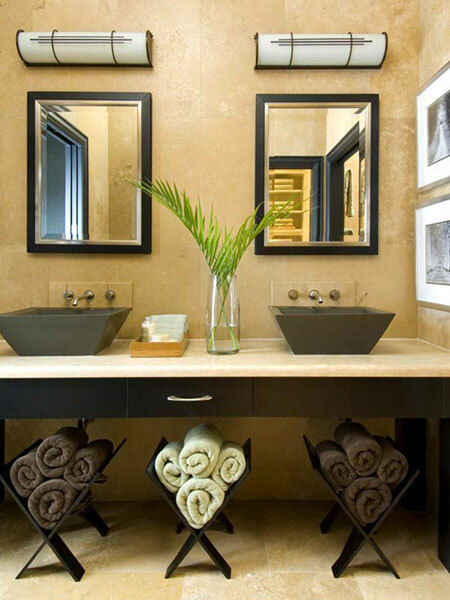 Or how about your small bathrooms little vanity? 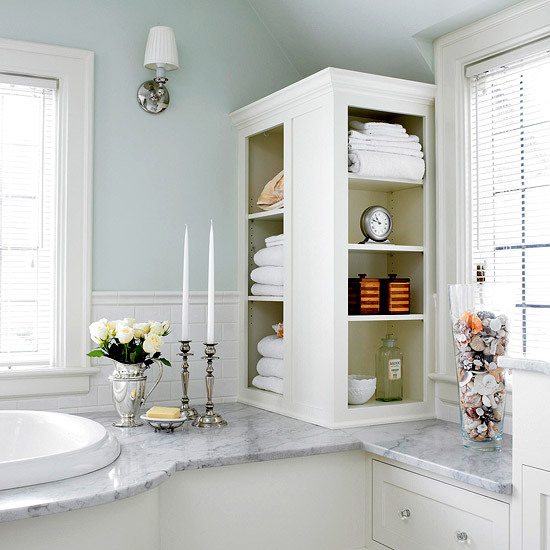 That small under sink cabinet can barely hold cleaning supplies let alone toilet paper, soap and forget about putting extra towels in there. 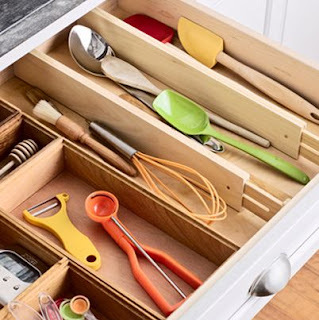 How about your kitchen utensils? 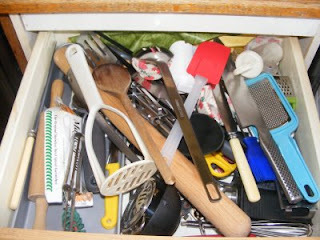 Well in my house they are all in one drawer, one very small drawer. Most days I have to rummage through it for what I am looking for, I have absolutely no organization in any of these areas of my house. Well thank goodness for all the fabulous websites that offer not only solutions to your organizational skills or lack their-of, but simple, creative and unique fixes. When thinking of where you are going to store your items keep in mind that other areas in a room can provide much needed storage. Think vertical. Go up! How about under-bed drawers? Hang baskets on a wall. Stop and really think about the space you have or in some cases don't have and find that much needed in the unexpected place! 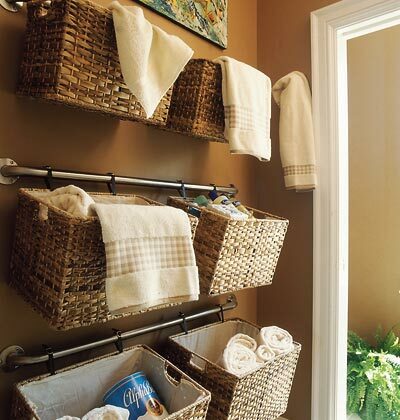 Towel Rack + Hanging Baskets = GREAT storage! 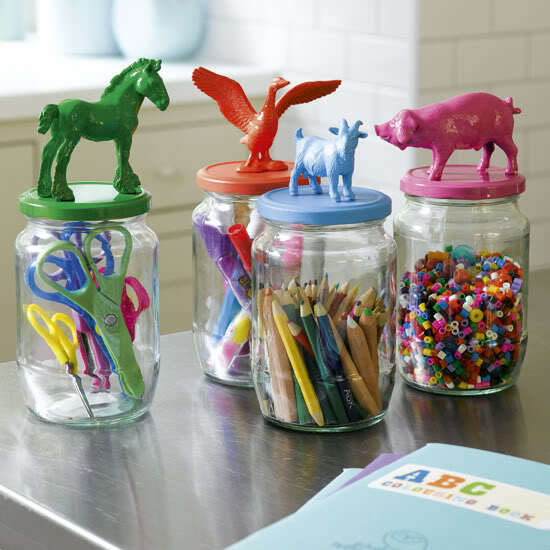 How cute are these Mason Jars? 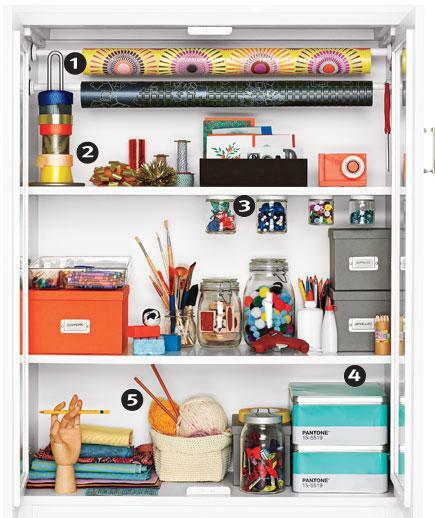 Great storage for a child's craft area. 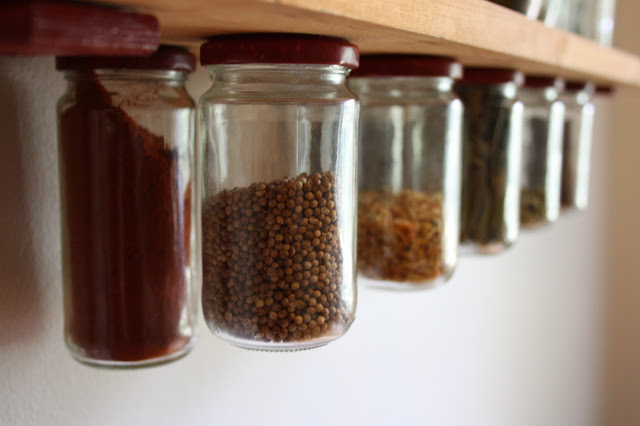 back in the kitchen.... these hanging mason jars have easy access while cooking. 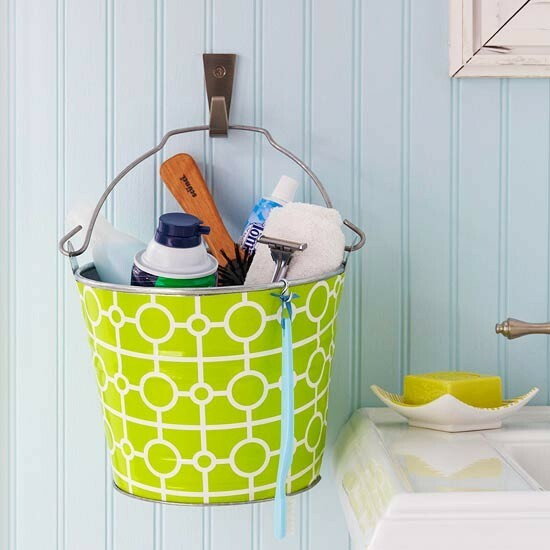 Decorative bucket doubles as a handy shaving kit keeper. I saw this and thought WOW! Really? For a more industrial look in the bathroom use mason jars with metal straps attached to a board to store cotton balls and other item's.